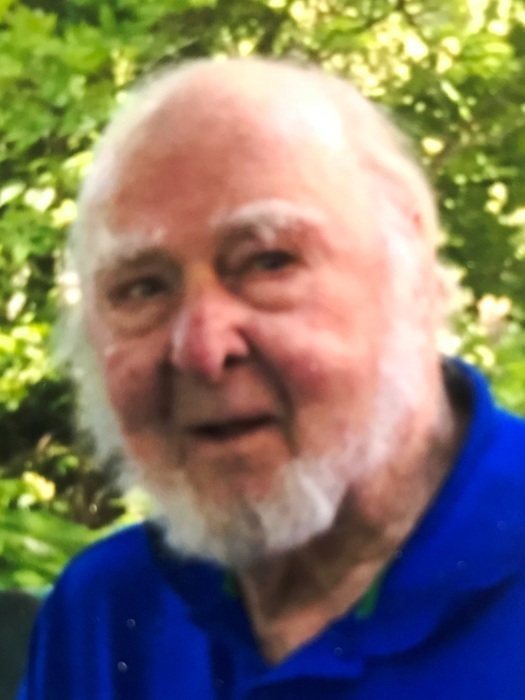 BOLTON - James M. "Mickey" Fuller, 88, of 220 Vaughn Hill Road and of Winchendon, died peacefully Wednesday morning, July 18, 2018, at the home of his daughter, with his family at his side. He was born in Clinton, MA on August 27, 1929, son of the late John F. and Clara (Hall) Fuller and was a graduate of Bromfield Academy, Harvard. Mickey also attended University of Massachusetts, Amherst and proudly served his country as a Private 1st Class in the United States Army Military Police. Mickey was a master mechanic and worked many years ago on large construction projects, including the New York Thru Way, Massachusetts Turnpike and Route 495. He owned several business, most notably the J.M. Fuller Company in Bolton. One business accomplishment was the dismantling of the railroad bridge at the Clinton Dam. He was a partner in Fitchburg Aviation and owned and operated his own air charter business and was a certified flight instructor. He also owned a commercial fishing boat and trapped stone crabs and lobsters while spending winters on Big Pine Key, Florida. He loved to travel and would take his family and friends on day trips in his plane. He loved country and cowboy music and would sing and play accordion with his late brothers and friends at family events. Mickey was a volunteer firefighter, a member of the Finance Committee in Bolton and an active member of the Bolton Federated Church in years past. His grandfather built Fuller Field in Clinton, which is the oldest continuously used baseball field in America and he was honored to throw out the first pitch at a vintage baseball game a few years ago. His wife, Lorraine M. (Hermanson) Fuller, died in January. He leaves a daughter, Cynthia L. Carvill of Winchendon, with whom he lived; four grandchildren, Raymond E. Carvill Jr, his wife Mara Jimenez of Gloucester; James Carvill, his wife Valerie and their daughter Alaina Allison Carvill of Winchendon; Adam Carvill, his wife Margot of Milwaukee, WI and their son Leo James Carvill and Amanda Lawler and her husband Peter of New Ipswich, NH; sisters-in-law, Nancy Fuller, Sally Fuller, Edith Fuller and Phyllis Lorrain; a brother in law Roy Hermanson and many nieces and nephews. In addition to his wife, he was predeceased by his brothers, John Fuller, William Fuller, Richard Fuller, David Fuller, Nancy Dickson, Robert Fuller and Joseph Fuller; a daughter Judith Ann Fuller and a great granddaughter, Harper Grace Lawler. Calling hours in Stone-Ladeau Funeral Home, 343 Central Street, Winchendon are Sunday, July 22, 2018 from 3 to 5 P.M.
Burial, with military honors, will be later this summer in West Cemetery, Bolton. Memorial donations may be made to the National Key Deer Wildlife Refuge, Big Pine Key, Florida or to a charity of your choice.